(Darwin, AUS, June 28, 2011) An excellent performance by Timor Leste Under-23 National Football Team who thrashed Guam’s defensed. Although Guam U-23 play well on the first half of the match, the team were unable to return and many mistakes were committed. On the hands, Timor Leste was surprised when Guam opened the first goal in 14 minutes by Scott Guerrero a midfielder. Akao a Timorese midfielder take avenged for his team by scoring a goal in 27 minutes. Guam U-23 have miscommunication with their goalkeeper; Edward Calvo tackle his opponent, haul the ball from them and he pass the ball to Kalen Lizama who was not concentrating during that moment. Edward kick the ball high that Kalen Lizama could not save the ball from entering the goalpost. Timor Leste U-23 was rewarded a free goal from Guam in 34 minutes. In 42 minutes before the first half of match was over, Josh Bajikur head the ball into the goalpost during the corner kick. In second half of the match, Guam U-23 players create many fouls especially the defenders and midfielder. Cadiz Bumagat who earn two yellow card in the second half of the match. Cadiz a Guam’s defender tripped Asanco’s leg. Asanco did not get hurt from his falling but his team were awarded a penalty kick. Emillio Olivyera the captain of Timorese U-23 score the penalty kick in 68 minutes. Asanco was substituted by Yudda Ardisaputra in 75 minutes. Yudda thrashed Guam U-23 in 87 minutes when he score the last goal. ” I am very happy my team performance tonight, it was unbelievable that many goals was score exclude the own goal by Guam’s defender” said Marcos Falopa coach of Timor Leste U-23. Location: Darwin Football Stadium, Darwin Australia. ( Kathmandu, Nepal, June 22, 2011)- Timor Leste Men National Football Team have finally win their first match. It’s a celebration for the selecao who did the impossible. Timor Leste have beaten Bhutan U-23 team, scoring 4 :1. Anggisu Barbosa is the one who opened the first goal for his country in the 24 minutes at the first half of the match. 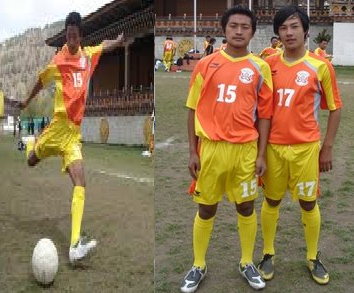 Later in 32 minutes chaos was created by Tashi Tubgay a Bhutan player who was foul for his violence conduct. Tashi Tubgay deliberately stump and push away Quito. Quito was badly bruise in his feet; he was sent out from the game and replace by Felipinho Nessa. Tashi Tubgay receive a red card to leave the match. Timor Leste was awarded a penalty kick. The captain of Timor Leste, Eusebio score a goal in the penalty kick. In last 2 minutes of the first half of the match, Wangchuk a Bhutan midfielder score a goal. The second half of the match, Timor Leste dominated the game. The Seleccao were organized team and very energetic, keeping the front line and back secure and controllable. The rookies, Torres Vidigal (V.Torres) make daring score, he kicked the ball high from 28 meters from the goal post. The ball landed in left side of the goal post at 62 minutes. Hari Gurung a Bhutan Goalkeeper cannot save the goal from V.Torres because it was high to reach it. Chris Nunes added the last goal for Timor Leste in 83 minutes. ” The Selecao had shown a progress in this match; However, i hope they can do the same when they face Nepal at the World Cup Qualification which start next week” said Antonio Carlos Viera (Coach Timor Leste). ” I am not surprise at all, i knew Bhutan is going to lose but i was not hoping that my player receive a red card. We did a lot of mistake and we have only 10 players on the field that why we loss this evening” said the disappointed Hiroaki Matsuyama ( Coach Bhutan U-23). (Darwin, AUS, June 13, 2011)- Timor Leste Under 23 football team have reaches the highest achievement in international football stage. The team won against Fiji U-23 football team last night in friendly match ; Yudda Ardisaputra and Fidel Santos who bravely accomplished the victory of team. Yudda Ardisaputra broke Fijian’s silence in 33 minutes when he opened the first goal in the first half of the game. The Seleccao were organized team and very energetic, keeping the front line and back secure and controllable. In second of half the game during the first 13 minutes Fidel Santos of Timor Leste u-23 courageously defeated the 3 defenders’ defense line and score a beautiful goal. Parmesh Prasad a Fijian goalkeeper missed saving the second goal attempt from the Timorese seleccao. The night was not over for Fijian Bula Boys. In 81 min, Jone Vono make comeback for the Fijian u-23 football team when he finally score a goal for his country. The Fijian did good performance but Timor Leste seleccao was the team who won the match. ” The seleccao really accomplished their first victory of the International Football Stage, it’s outstanding job from every each players” said the proud coach Falopa of Timor Leste. 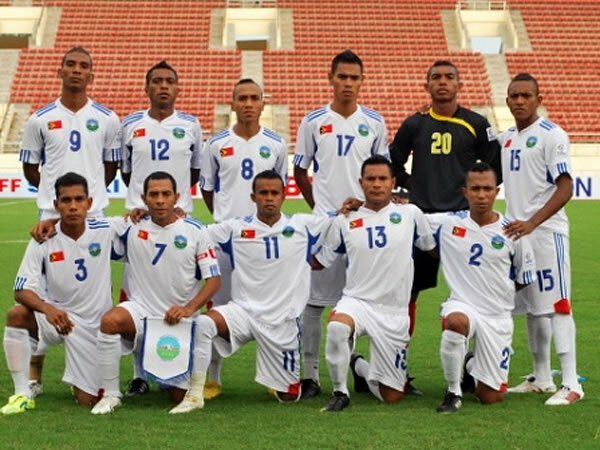 (Dili, 1 June, 2011) -Timor Leste National Football Team ( Seleccao) is gearing up for the second debut in FIFA World Cup Qualification. The Seleccao will be playing against Nepal on 29 June, 2011 and 3 July, 2011 at Dasarath Rangasala Stadium in Kathmandu, Nepal. Both Leg ( Home/ Away) will be played in Kathmandu, Nepal due to lack of technical infrastructure in Dili, Timor Leste. Timorese football team will be arriving at Kathmandu, Nepal on June 17, 2011. Amandio Sarmento, a general secretary of Federaco de Futebol de Timor Leste have request a friendly match with Bhutan National Football Team. 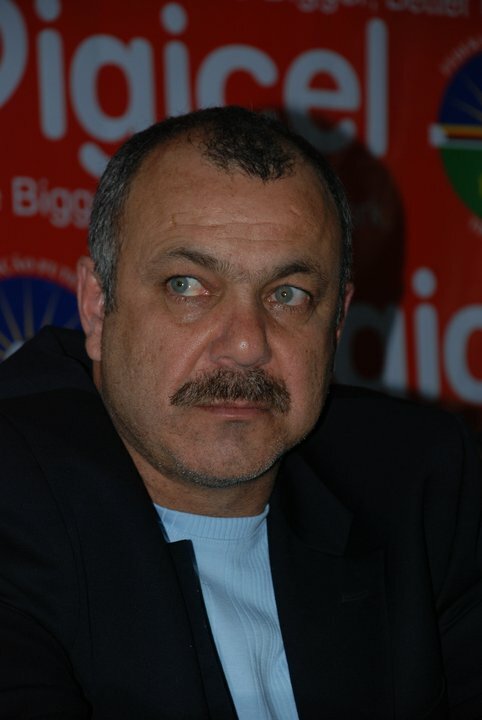 The friendly match with Bhutan is set on June 22, 2011 at Wednesday’s afternoon.”Our mission is to win at least one match so we could have better ranking in FIFA” said the General Secretary of FFTL. 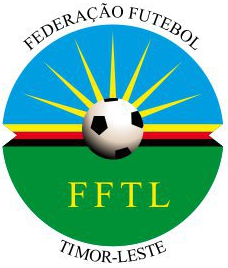 Federacao de Futebol de Timor Leste have set up two-legged friendly Matches with Indonesia National Football team(Timnas) on August 8 and August 10, 2011 at Maguwoharjo Stadium in Sleman, Indonesia. Last time when they meet, Indonesia win against Timor Leste with 6:0 in November 24, 2010. Coach Antonio Carlos Viera, the new coach of the Timorese Seleccao, think the seleccao will do much better than last year because his players had work hard in the training camp. “My Players is ready to win and defense their proud country” said Viera. The 2011 Fixture Matches of Timor Leste’s seleccao look very tough especially Nepal and Indonesia whose rank are better than Timor Leste. The seleccao will also play two local football clubs in Jogjakarta after the 2014 FWCQ. Timorese seleccao will be going to Jogjakarta in July 29, 2011. The Persatuan Sepak Bola Seluruh Indonesia (PSSI) and Federacao de Futebol de Timor Leste have name their two-legged friendly matches ” Timor-Indonesia Rivalry Cup ( T.I.R Cup) “. 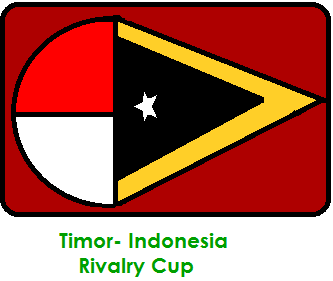 The winner of Timor- Indonesia Rivalry Cup will win a trophy and $10,000 (US Dollar). For Second Runner Up, they will received $ 4,000 (US Dollar). TIR Cup proposed is to developed better football between Indonesia- Timor Leste and to have good relationship with each other. FFTL is supporting PSSI for electing their new president in congress at June 30, 2011. ” We hope PSSI will elected their new leader and also solve their problem” said Francisco Kalbuadi . You are currently browsing the Andy1890's Blog blog archives for June, 2011.